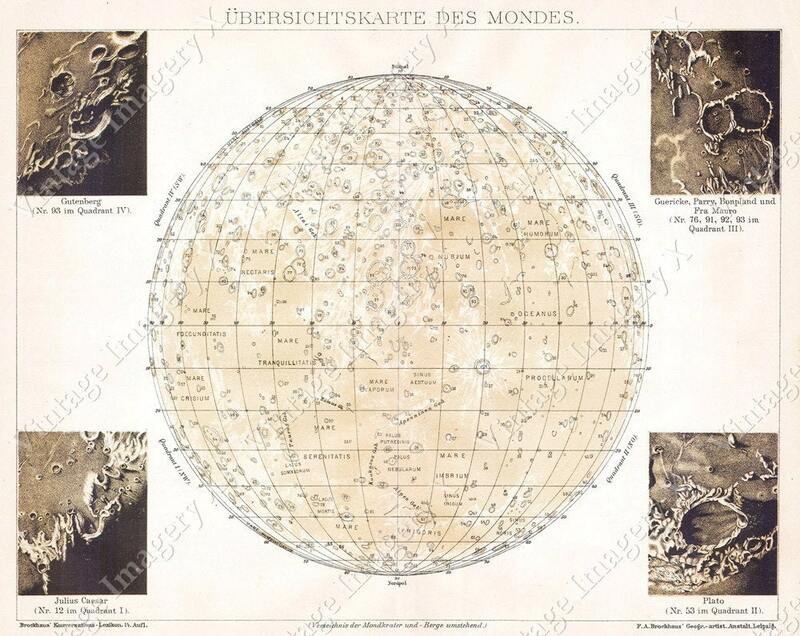 Description: This is a rare and beautiful 1889 Map of the Moon by German lexiconographer F. A Brockhaus. 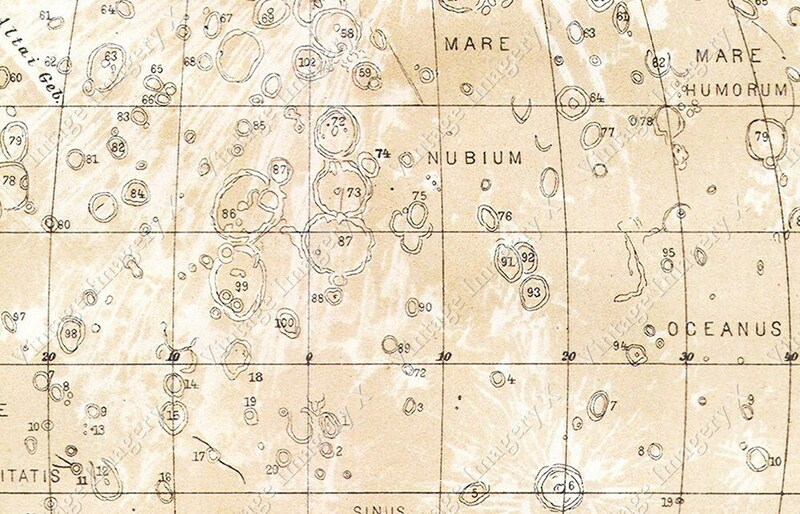 There are for insets of important lunar craters, the Gutenberg group, the Julius Caesar Group, the Plate Crater, and the Guericke, Parry, Bonpland and Fra. Mauro cluster. Other craters and seas on the moons surface are clearly labeled.